Back to the days when things were simpler. Remember the music event that represents a generation. 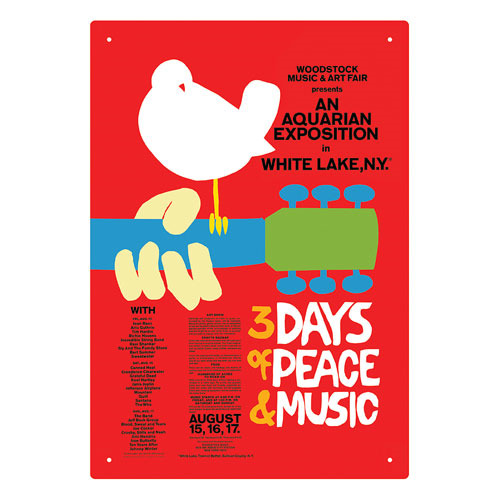 This classic Woodstock 1969 Red Tin Sign measures approximately 8-inches x 11 1/2-inches. Ages 14 and up.